Archbishop Vatche Hovsepian Camp (formally known as Camp Hye Sierra) is a 160-acre property located about 35 miles east of Fresno. It is within five miles of the entrance to Kings Canyon National Park at an elevation of 4,400 feet. The property offers a unique, serene retreat setting, perfect for reflection and fellowship. For rental information, please contact us at armenianchurchcampwd@gmail.com. Our twelve bunkhouse cabins are nestled around a centrally located bath house. Four of our cabins sleep sixteen, and the remaining eight cabins sleep twelve. "Camper Hill" sleeps 160 people. Our floor to ceiling tiled bath house, centrally located on "Camper Hill" within close proximity to each of the cabins, is an ideal facility for large groups of people. 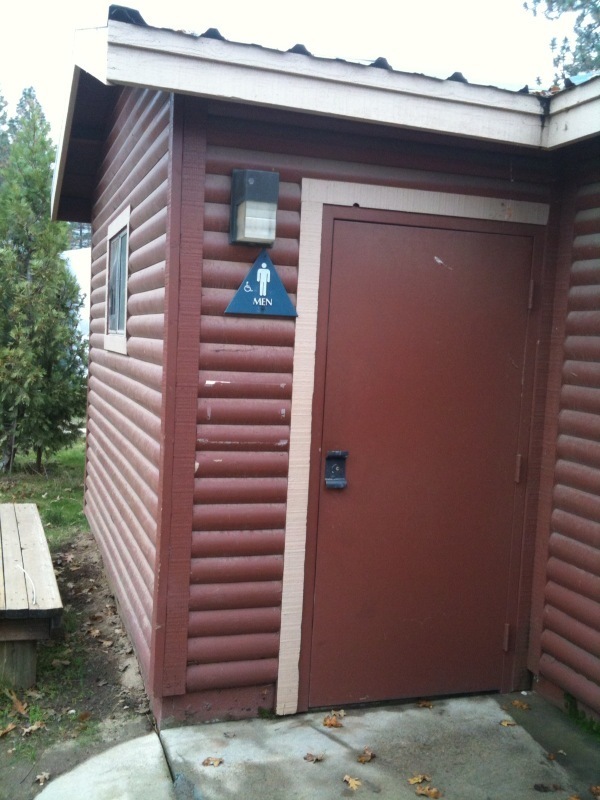 A commonly heard expression is that this bathhouse is the "best bathroom facilities of any camp I've ever been to." Our main lodge contains a cafeteria style Dining Hall, lovingly referred to as the “Mess Hall,” and is where we congregate at mealtime and currently have classes. Meals are prepared in the large, fully equipped commercial kitchen. There are two unisex public restrooms. A wrap around deck provides exquisite views, and serves as a favorite location for our Ice Cream Socials, many of our evening activities, afternoon classes, and is a great place to snap memorable camp photos. The Lodge has four bedrooms and can sleep 10 people. During camp, these bedrooms serve as Nurse's office, quarters, and infirmary. There is one large bathroom with a shower. Our open air Arts and Crafts center is centrally located in camp with ample room for a host of activities. Located at the center of camp, our all-weather, outdoor, lighted basketball court provides a great experience for basketball, tennis, and a host of other court friendly games. At night, the sport court provides us with an excellent place to take the entire camp for some spectacular stargazing! Our campfire is also located next to beautiful Ketchoyan Lake. It features a stage, amphitheater, and outdoor lighting. The campfire location is a great venue for daytime classes and an area where campers have a chance to perform skits, sing songs, and roast marshmallows at evening campfires. The boat house is our newest structure at Camp Hye Sierra, providing lakeside bathrooms, outdoor showers, and a large storage facility. The boat house also has a great Dutch-door equipment room for smaller and accessible storage. We have two large staff cabins with two bedrooms in each, including their own bathroom, kitchen, living room, and fireplace. Each of our large staff cabins sleep eight people. We also have two duplex cabins with an adjoining bathroom that sleep 4 people each. We also have a 4-plex which has four separate rooms, each with its own bathroom. Each of these rooms sleeps four people. Our arbor is a gorgeous open air structure adjacent to the sparkling water of Ketchoyan Lake. It is the perfect venue for an evening dance in the cool mountain air, daytime classes, talent shows, and a host of other activities. This beautiful location is also where chapel services take place during the weeks of Armenian Church Summer Camp. The Chapel and Retreat Center is a multipurpose building and will be the heart of Hye Camp. It will house the Camp Office with a supply room designated specifically for Hye Camp and greatly needed additional restrooms. The main section of the building is a multipurpose room with state of the art audio/visual equipment to provide updated classroom experiences and community meetings. The multipurpose room will be an alternative for activities when the weather is not outdoor friendly. The eastern most section of the building will be an altar with adjacent vestment and sacristy rooms. Badarak will be held here each week of Hye Camp. The Hye Camp curriculum always includes teachings of the Badarak, and the altar will bring these lessons to life.